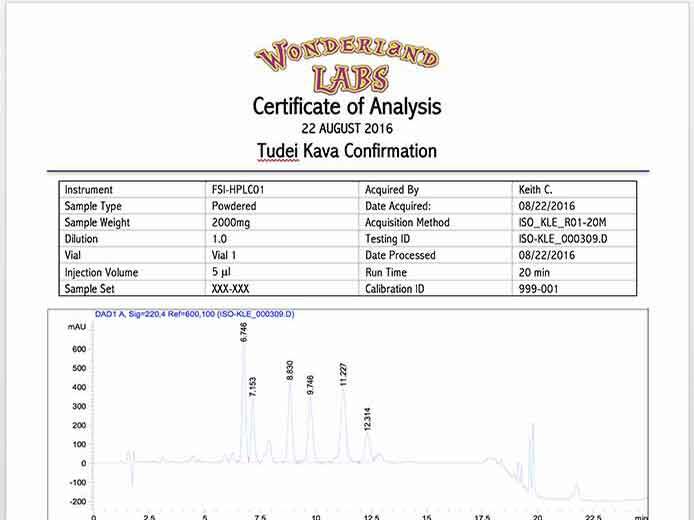 This Kava has garnered more attention in the past couple of years than we’ve ever seen. There are people on both sides of the fence in relation to whether this product is harmful to consume in large amounts or on a regular basis. At Wonderland-Labs, we don’t make any judgement calls, we simply provide Identity Testing for any product that comes through our doors. This is an example of the Identity/Percentage side of our testing package. 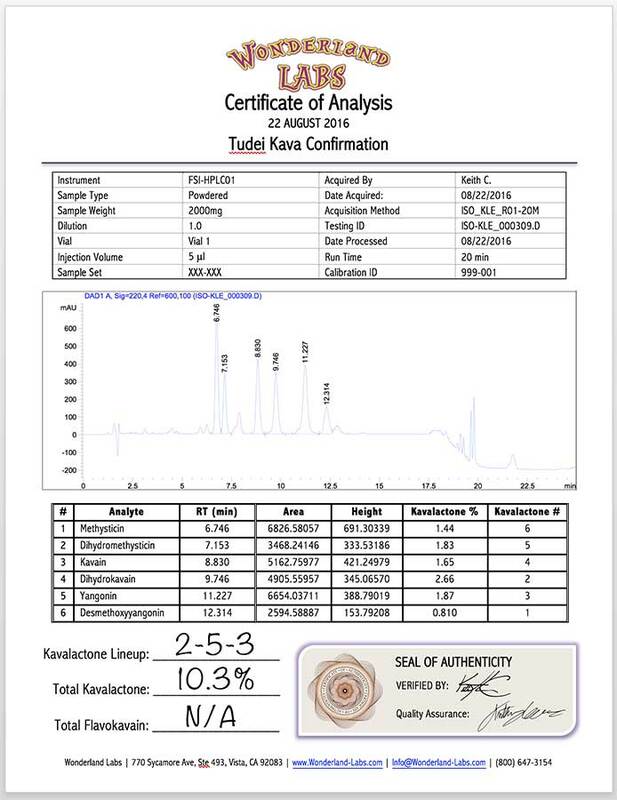 This leg of the 3 test package costs $99.00, and is one of the core tests that people who are attempting to make purchase choices for Kava get nearly automatically.